How about these Vegas Golden Knights? It doesn’t appear the Vegas Golden Knights’ storybook season is coming to an end soon (at least not for four more games, for sure). 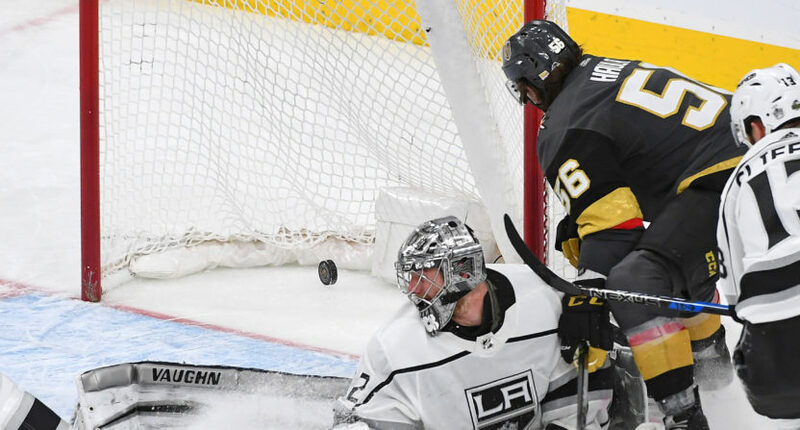 The stunning expansion team– and Pacific Division champs — won their first playoff game on Wednesday night, and they followed it up with a double-overtime victory over the Los Angeles Kings to take a commanding 2-0 lead in the series. Perfect in the #StanleyCup Playoffs and officially perfect in #NHLOT. But, you certainly can’t blame Quick for this one. The 2012 Conn Smythe winner stopped 54 of 56 (!) Golden Knights shots. In comparison, the Kings only had 30 shots on goal. So, the Kings were certainly lucky to even take the game as far as they did, and they will need to pick up their play to have a chance in this series. They at least get to go back home for Game 3, which takes place Sunday night at Staples Center.